2019 BMW 4-Series Trim Levels with Comparisons & Configurations. What 2019 BMW 4-Series Trim Level Should you Buy? What is the Difference Between Trims? If you’re in the market for a luxury coupe or convertible, the 2019 BMW 4-Series is destined to impress. Like most BMW vehicles, it ranks among the class leaders in overall driving excitement. Superior interior comfort makes the new 4-Series even more rewarding. For the 2019 model year, an even greater number of premium features now come standard. Let’s take a closer look at the two available trims. Compare the 2019 BMW 4-Series 430i vs 440i Trim Levels. What is the difference? With a starting MSRP of $44,800, the BMW 430i is the least expensive trim. However, it’s not a downgrade from the more expensive BMW 440i. The primary difference comes down to power and fuel efficiency. Remember, you’ll have to pay a bit more for the convertible body style. BMW has given the 430i convertible an MSRP of $53,945. Motivating the 430i is BMW’s TwinPower Turbo four-cylinder engine, which has been used in a number of other vehicles. It’s rated to generation a fulfilling 248 horsepower and 258 pound-feet of torque. When tested, the 430i accelerated to 60 mph in 5.6 seconds. An eight-speed automatic transmission comes standard. However, BMW allows you to opt for a six-speed manual gearbox for no extra cost. This rear-wheel-drive coupe also offers an xDrive AWD system as an option. Various drive modes enable you to adjust the car’s steering feel and overall engine responsiveness. In regard to fuel economy, anticipate getting 24 mpg in town and 34 mpg on the interstate. Although an auto stop/start fuel-saving feature comes standard, it can be easily disabled by the driver. While the standard suspension delivers a smooth ride, you can further enhance handling with the optional Track Handling package. It equips the 430i with an adaptive sport suspension and upgraded performance tires. Along with the package also comes a variable sport steering system, which automatically adapts to your speed. Upgraded performance brakes bring enhanced stopping power. You’ll definitely appreciate the 430i’s refined and sleek exterior styling. 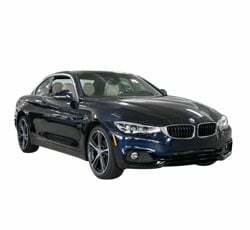 While the coupe body style is a popular choice, the 430i is also available as a hardtop convertible. An attractive set of 18-inch wheels and automatic LED headlamps come standard on both body styles. Luxurious touches, such as heated side mirrors and rain-sensing wipers, are also found on the 430i. You’ll be able to choose from roughly 20 different paint colors, including Snapper Rocks Blue Metallic and Sunset Orange Metallic. The inside of the 430i definitely feels luxurious. Although genuine leather is available as a stand-alone option on the 430i, you’ll find the standard synthetic leather upholstery to be a great substitute. Meanwhile, power-adjustable sport seats and a tilt/telescoping steering wheel help you to remain comfortable. Dual-zone automatic climate control also helps create a relaxing environment. When extra cargo space is needed, take advantage of the 40/20/40-split folding rear seats. A sunroof adds to the coupe’s fun factor. Convertible versions of the 430i feature a removable wind deflector. If you’re a technology lover, you’ll have no complaints about the 430i’s list of standard equipment. BMW’s iDrive infotainment system with navigation is a focal point. It provides an 8.8-inch touch screen, which includes a console-mounted controller for easier use. Wireless Apple CarPlay enables iPhone customers to access their mobile apps. You can also expect the 430i to deliver a satisfying music-listening experience. You’ll receive a nine-speaker stereo system with HD radio. BMW’s ConnectedDrive system is another important standard feature. Aside from allowing you to remotely perform functions from your smartphone, ConnectedDrive also provides a link to roadside assistance. In the event of a crash, the system will automatically contact emergency services. Other standard features include a USB port, ambient interior lighting, and Bluetooth. Although a minimum number of advanced driving aids come standard on the BMW 430i, you will benefit from cornering brake control. This technology helps you to safely brake for obstacles around curves. A backup camera and parking sensors help you avoid crashing into an unseen obstacle. Meanwhile, BMW’s automatic brake-drying feature ensures good stopping power during wet conditions. Some great safety technologies are optional on the the BMW 430i. While low-speed automatic braking makes driving in city traffic less dangerous, blind-spot monitoring helps you to dodge danger on the highway. Meanwhile, a surround-view camera seeks to make parking safer. Designed to better illuminate rural roads at night, the available adaptive headlights swivel as you turn. Other safety equipment on the 430i’s list of options include lane departure warning, forward collision warning with pedestrian detection, and smart cruise control. If you’re aren’t completely satisfied with the 430i’s standard features, you have some worthy options to choose from. Many buyers will want the Wi-Fi hot spot. Meanwhile, a more powerful Harman Kardon surround-sound system treats you to an even more exciting drive. It comes with a total of 16 premium speakers and satellite radio. Wireless smartphone charging eliminates the need for a USB cord. The optional head-up driving display is another upgrade that's worth the money. It helps reduce driving distractions by projecting the gauge cluster’s info onto the windshield. Neck-warming air vents are available on the convertible. For drivers seeking a more powerful look, BMW offers the M Sport package. It decks out the car with a special body kit and unique emblems. Also included in this appearance package is a sports-tuned suspension, which improves the 430i’s sharp handling. Drivers who demand more performance should consider the BMW 440i. Prices for the 440i start at roughly $52,195. However, the convertible version is $60,995. Although it doesn’t look different from the 430i, it comes equipped with a more potent TwinPower Turbo six-cylinder engine. BMW tuned it to kick out an exhilarating 326 horsepower and 332 pound-feet of torque. The extra power lowers the car’s 0-60 mph time to roughly 4.7 seconds. Fuel economy for the 440i stands at 21 mpg in town and 32 mpg on the highway. When you step inside the new 440i, you’ll notice that some of the 430i’s optional features come standard. The biggest upgrade is the Harman Kardon surround-sound system. However, BMW also wraps the 430i’s steering wheel in upgraded Nappa leather upholstery. Like the BMW 430i, the BMW 440i offers optional safety technologies like automatic emergency braking and blind-spot monitoring. You also have access to the same $1,700 Track Handling package. Because the 2019 BMW 4-Series only has two trims in its lineup, most buyers won’t have trouble making a choice. If you’re seeking fun and efficiency, go for the BMW 430i. This trim's turbocharged four-cylinder engine has received multiple awards over the years for its innovative design. While the eight-speed automatic transmission will save you the most fuel, it can be replaced with a six-speed manual transmission for no extra cost. The BMW 430i also looks just as attractive as the BMW 440i. In fact, there are only a few subtle styling differences. Both the convertible and the coupe will turn heads. If you desire an especially sporty look, consider the optional M Sport appearance package. As discussed earlier, several options are available on the 430i. Many commuters will be interested in the Driver Assistance package, which brings driver-assist technologies like automatic emergency braking and lane departure warning. If you are seeking an exciting music-listening experience, the optional Harman Kardon surround-sound system may be hard to resist. On the other hand, your level of awareness on the road is enhanced with the color head-up display. In terms of sheer power, the BMW 440i is a step above the 430i. It’s definitely quicker. 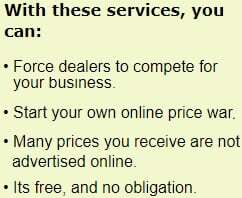 You’ll also be penalized with a lower fuel economy rating. Nevertheless, very few cars of this performance caliber prove to be as efficient. While the 440i has a similar list of features, you’ll be rewarded with a standard Harman Kardon sound system and an upgraded steering wheel. The same optional packages are available, including the Track Handling package and the Driver Assistance package. Of the two available engines, the six-cylinder engine is obviously the most potent. However, don’t overlook the twin-turbo four-cylinder’s ability to deliver a fun performance. It packs plenty of power for the average driver. You’ll also appreciate the engine’s fuel-efficient nature. A traditional rear-wheel-drive system comes standard on the 2019 BMW 4-Series. However, BMW’s optional xDrive AWD system has received high marks for its ability to improve traction in the rain and snow. Furthermore, adding all-wheel drive doesn’t cause a huge drop in fuel economy. The xDrive system is available for an extra $2,000. You’ll find several driver-assist technologies on this car’s list of options. If you regularly travel on the highway, spend the money on the optional blind-spot monitor. It’ll be $500 well spent. For another $500, you can equip the BMW 4-Series with a Driver Assistance package. It provides lane departure warning, low-speed automatic braking with pedestrian selection, and speed limit warning. The standard stereo system produces a decent sound. However, you will not regret spending the extra $875 on the optional Harman Kardon surround-sound system. When playing music, it gives you the feeling of being on the front row of a live concert.